Wie man im Taijiquan pushing hands sich selbst und den Partner erkennt. Sunzi schrieb in seinem Buch „Die Kunst des Krieges“: „Erkenne Dich selbst und kenne Deinen Feind, dann kannst Du hundert Schlachten ohne Gefahr führen. Diesen Satz kann man auch auf die Kampfkünste übertragen und er wurde auch in den klassischen Schriften des Taijiquan zitiert. In diesem zweitägigen Workshop werden wir Methoden des Taijiquan erforschen, die uns helfen, sowohl uns selbst, als auch den Partner zu erkennen und wie man das im pushing hands anwenden kann. Der Kurs beginnt mit 5 verschiedenen Arten des Zhanzhuang (Stehende Säule, den Baum umarmen) und 6 Methoden des stationären pushing hands. Übungen für den Rumpf und für die 3 Gelenke (Schulter, Ellbogen, Handgelenk) führen uns zum klassischen peng-lü-ji-an pushing hands. Übende aller Schulen sind willkommen. Die unterrichteten Techniken sind für jeden Taijiquan-Stil gleich nützlich und anwendbar. How to get from knowing yourself to knowing the partner in Taijiquan tui shou. Sunzi’s “Art of War” says 'know thyself and know others, (you can) fight hundred battles without peril'. This can be transferred to any martial art and has also been cited in the classic writings of Taijiquan. In the two-days workshop we will explore what methods there are in taijiquan to know both ourselves and our partner and use that in pushing hands. The course will begin with a revision of the 5 types of Zhanzhuang (Standing Postures) and the 6 methods of stationery Tuishou with the body and the three-gates (shoulder, elbow and wrist) leading into the classic Peng-Lu-Ji-An way of doing continuous and moving push-hands. Using these methods, we will explore the mystery of knowing our own body structure and our mental attitude and feel both of them in our partner. Practitioners from all schools are welcome; the methods taught are equally applicable and useful to all styles of Taijiquan. Our instructor, Howard Choy, has studied Choy Lee Fut Kung Fu and Luohan Qigong with Master Li Iu-Ling and Chen Yong-Fa, Yang Family Taijiquan with Master Yang Sou-Chung and Chen Family Taijiquan with Master Chen Xiao-Wang. He has over 40 years of experience in both the External and Internal Traditional Chinese Martial Arts. This is your unique opportunity to learn from an authentic China-trained practitioner and teacher from Australia. Schulsporthalle in der Schulstr. 3a, München (Rudolf-Diesel-Realschule, Nähe Rotkreuzplatz). fee: EUR 130,-- for members of the association, EUR 190,-- for non members. 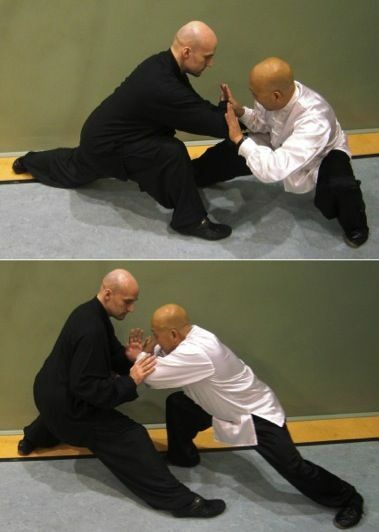 From a Qi circulation point of view, Taijiquan can be considered as a form of applied Qigong, that is doing Qigong for a specific purpose, like neutralizing your opponent with a circular Qi flow as in the movement called “Roll Back” in “Grasp the Bird’s Tail” or to counter an attack with an explosive and direct straight line Qi application as in “Parry and Punch”. In this sense we are doing Qigong to cultivate our Vital Qi and when we apply it in Taijiquan, we spend the Qi that we have cultivated and stored in our body in an effective way. Therefore if we want to improve the effectiveness of our Taijiquan, then we should practice some Qigong especially tailor-made for Taijiquan. In the coming workshop we will do exactly this type of Qigong to help you with your Taijiquan. I have called this set of Qigong made up of individual movements repeated a number of times “The Sancai Qigong for Taijiquan”. Sancai refers to the Three Abilities of utilizing, the Body, the Breath and the Mind while doing Qigong. The “Body” refers to the Earth component of correct postures and movements, the “Breath” refers to the Human component of breathing correctly and appropriately and the “Mind” refers to the Heaven component of using visualization and mind intent to help with Qi circulation while doing the Qigong form. We will then integrate these experiences into the peng, lü, ji an push hands. Practitioners from all schools are welcome. The methods taught are equally applicable and useful to all styles of Qigong and Taijiquan. Fee: EUR 130,-- for members of the association, EUR 190,-- for non-members. 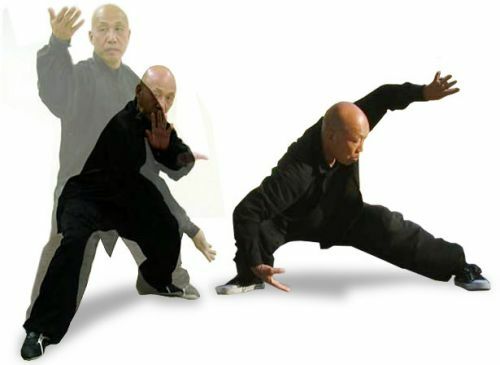 There are different views on how Qigong and Taijiquan are related to each other and whether it is necessary to pimp Taijiquan with Qigong training. In this 2-days workshop we will learn and experience the differences and similarities of Qigong and Taijiquan by learning the "Wenwu Yijinjing" 文武易筋經 passed down by a martial art expert called Jin Yiming 金一明 back in the 1930s in China. Howard Choy will help us to draw out the essence of that set and explain, how this can help the students in their Taijiquan practice. Our instructor, Howard Choy, has studied Choy Lee Fut Kung Fu and Luohan Qigong with Master Li Iu-Ling and Chen Yong-Fa, Yang Family Taijiquan with Master Yang Sou-Chung and Chen Family Taijiquan with Master Chen Xiao-Wang. 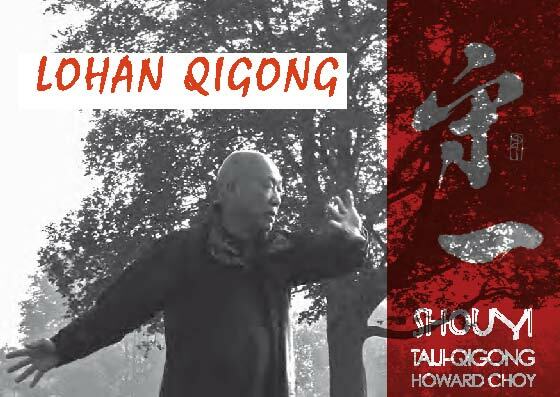 He has over 40 years of experience in both the External and Internal Traditional Chinese Martial Arts as well as Qigong. This is your unique opportunity to learn from an authentic China-trained practitioner and teacher from Australia. Die klassischen Schriften des Taijiquan erwähnen oft die Drehung des Zentrums (Dantian) und das Atmen ins Dantian. Was versteht man unter diesen zwei Begriffen? In einem 2-tägigen Workshop erforschen wir, um was es sich dabei handelt und wie man es nutzt um den oberen und unteren Teil des Körpers zu einem Ganzen zu verbinden, damit die Bewegungen kraftvoll, schnell und gewandt werden. Dann werden wir das „Geheimnis“ der Zentrumsdrehung (Dantian rotation) und des Atmens ins Zentrum (Dantian breathing) erforschen und den Workshop mit verschiedenen Techniken des Scheinkampfs beenden um damit besser den Kampfkunst Charakter des Taijiquan verstehen. 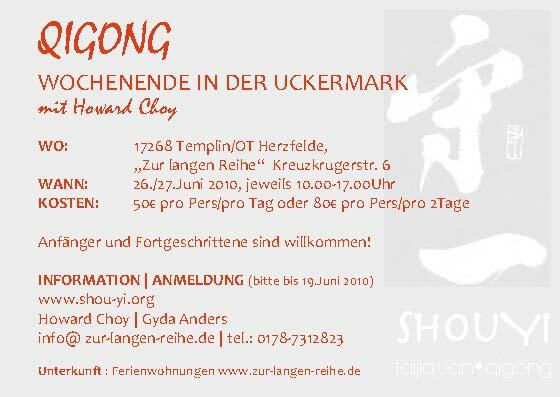 Unser Dozent, Howard Choy, lernte Choy Lee Fut Kung Fu und Luohan Qigong mit den Meistern Li Iu-Ling and Chen Yong-Fa, Yang Family Taijiquan mit Master Yang Sou-Chung und Chen Family Taijiquan mit Master Chen Xiao-Wang. Er hat über 40 Jahre Erfahrung, sowohl in den äußeren, als auch in den inneren traditionellen chinesischen Kampfkünsten. Das ist eine einzigartige Gelegenheit von einem authentischen, in China ausgebildeten Fachmann und Lehrer aus Australien zu lernen. The Taiji classics often mentioned Dantian Rotation and Dantian Breathinh, what do they man by these two terms? In the two-days workshop we will explore what they are and how they can be utilized to link the upper and lower parts of our body into one unified whole, so we can move with power, speed and agility when doing Push-Hands. 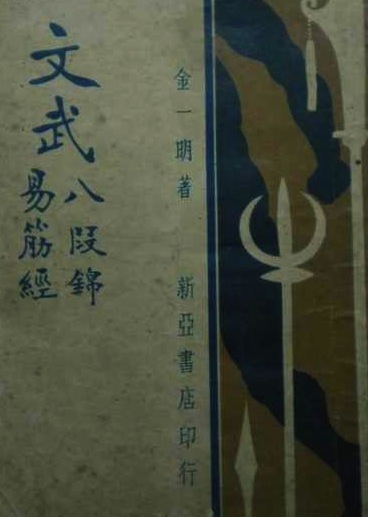 The course will begin with a revision of the 5 types of Zhanzhuang (Standing Postures) and the 6 methods of stationery Tuishou with the body and the three-gates (shoulder, elbow and wrist) leading into the classic Peng-Lu-Ji-An way of doing continuous and moving push-hands, then we will explore the mystery of Dantian Rotation and Dantian Breathing and conclude the workshop with various techniques of mock-fighting Tuishou, so you can appreciate the martial nature of Taijiquan. Das Verständnis der Fertigkeiten „zhan“ - berühren, „lian“ - verbinden, „nian“ – kleben und „sui“ - folgen sind die Grundlagen für erfolgreiche Partnerübungen (pushing-hands) im Taijiquan. Howard Choy unterrichtet in diesen Wochenendseminaren Partnerübungen (Tui shou – pushing hands) des Taijiquan. Die Teilnehmer lernen die Techniken des Haftens und Folgens und wie sie sich dabei verwurzeln können. Dabei geht Howard Choy auf jede(n) Teilnehmer(in) individuell ein und korrigiert sie/ihn in seiner Körperstruktur. Dieses Seminar ist sowohl für Anfänger in den Taiji-Partnerübungen mit Grundkenntnissen einer Taijiform geeignet, als auch für fortgeschrittene Teilnehmer, die schon viele Jahre üben. Howard Choy (Cai Hong 蔡洪) (B.Arch), Direktor und Cheftrainer des Sydney Tai Chi and Qigong Centre, Feng Shui Architekt, übt seit über 45 Jahren und hat von einigen der besten Taijiquan- und Qigong-Lehrern gelernt, darunter Yang Sau-Chung (Taijiquan der Yangfamilie), Chen Xiao-Wang (Taijquan der Chenfamilie) und Chen Yong-Fa (Choy Lee Fut und Lohan Qigong). Howard Choy lebt derzeit in Berlin. Die Yang-Stil Säbelform, wie sie von Yang Chengfu unterrichtet wurde, beinhaltet 13 Grundtechniken mit dem Säbel. Howard Choy unterrichtet in diesem Wochenendseminar, basierend auf der Yang-Stil Säbelform, die Anwendung der 13 Techniken. Die Teilnehmer lernen durch Partnerübungen, wie die Kraft (Energie, Qi) vom Zentrum kontrolliert und über den Arm in die Waffe gebracht wird. Dabei geht Howard Choy auf jede(n) Teilnehmer(in) individuell ein und korrigiert sie/ihn in seiner Körperstruktur. Grundlage ist die Kenntnis einer Taiji-Säbelform. Es muß sich dabei nicht um die Variante von Howard Choy handeln. Howard Choy (Cai Hong 蔡洪 ) (B.Arch), Direktor und Cheftrainer des Sydney Tai Chi and Qigong Centre, Feng Shui Architekt, übt seit über 45 Jahren und hat von einigen der besten Taijiquan- und Qigong Lehrern gelernt, darunter Yang Sau-Chung (Taijiquan der Yangfamilie), Chen Xiao-Wang (Taijquan der Chenfamilie) and Chen Yong-Fa (Choy Lee Fut und Lohan Qigong). Howard Choy lebt derzeit in Berlin. Vorankündigung: Stilunabhängiges Taijiquan Tui Shou - pushing hands mit Howard Choy am Samstag, den 2.11.2013 und Sonntag, den 3.11.2013 sowie am Samstag, den 18.1.2014 und Sonntag, den 19.1.2014 in München. Die Yang-Stil Säbelform, wie sie von Yang Chengfu unterrichtet wurde. In seinen späten Jahren vereinheitlichte Yang Chengfu die in seiner Familie praktizierten Formen und veränderte auch die Form des Säbels, so daß er den Taiji-Prinzipien besser entsprach. Howard Choy unterrichtet in diesen Wochenendseminaren sowohl die Yang-Stil Säbelform, als auch Übungen zu den Grundtechniken mit dem Säbel. Die Teilnehmer lernen, wie die Kraft (Energie, Qi) vom Zentrum kontrolliert und über den Arm in die Waffe gebracht wird. Dabei geht Howard Choy auf jede(n) Teilnehmer(in) individuell ein und korrigiert sie/ihn in seiner Körperstruktur. Vorankündigung: Die Termine für 2013 stehen noch nicht fest. 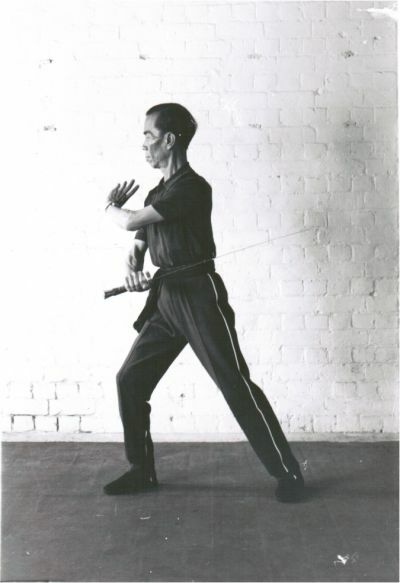 Sifu Li Iu-ling (1916-2007) Howard's first Taiji Sabre teacher. Die Klassiker des Taijiquan sprechen davon, daß „Die Kraft in den Füßen wurzelt, durch die Beine fließt, vom Zentrum kontrolliert wird und durch die Finger wirkt“. Wie man die Kraft (Energie, Qi) vom Zentrum aus kontrolliert und wie man das Dan Tian stärken kann erklärt Howard Choy in diesem Seminar und erläutert es anhand von Einzel- und Partnerübungen. Dabei geht er auf jede(n) Teilnehmer(in) individuell ein und korrigiert sie/ihn in seiner Körperstruktur. Howard Choy (Cai Hong 蔡洪) (B.Arch), Direktor und Cheftrainer des Sydney Tai Chi and Qigong Centre, Feng Shui Architekt, übt seit über 45 Jahren und hat von einigen der besten Taijiquan- und Qigong Lehrern gelernt, darunter Yang Sau-Chung (Taijiquan der Yangfamilie), Chen Xiao-Wang (Taijquan der Chenfamilie) and Chen Yong-Fa (Choy Lee Fut und Lohan Qigong). Howard Choy lebt derzeit in Berlin. Die Unterrichtssprache ist Englisch. Bei Bedarf übersetzt jemand. Howard Choy (Cai Hong) (B.Arch), Direktor und Cheftrainer des Sydney Tai Chi and Qigong Centre, Feng Shui Architekt, übt seit über 45 Jahren und hat von einigen der besten Taijiquan- und Qigong Lehrern gelernt, darunter Yang Sau-Chung (Taijiquan der Yangfamilie), Chen Xiao-Wang (Taijquan der Chenfamilie) and Chen Yong-Fa (Choy Lee Fut und Lohan Qigong). Howard Choy lebt derzeit in Berlin.